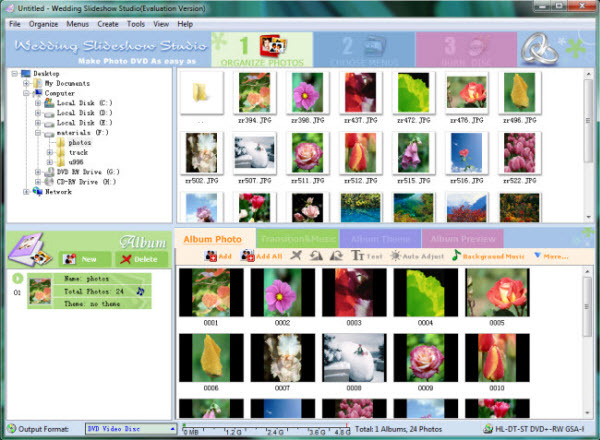 MOV Photo Slideshow can help you convert photos to MOV movie, convert pictures to MOV movie and create MOV photo slideshow. The steps are as easy as 1, 2, 3. You can also click the "Burn Disc" tab on the interface of MOV Photo Slideshow and choose "Misc Movie" from the "Output Format" list. Here, you just choose "Apple QuickTime MOV (*.mov)" from the profile drop-down list as the output format. Click the "Create Now!" 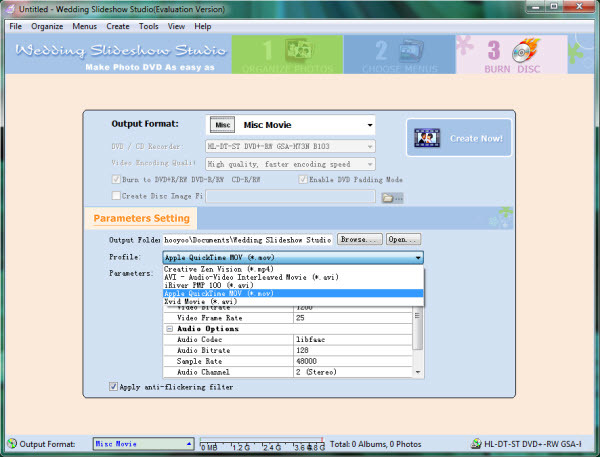 button to starting creating mov movie slideshow. 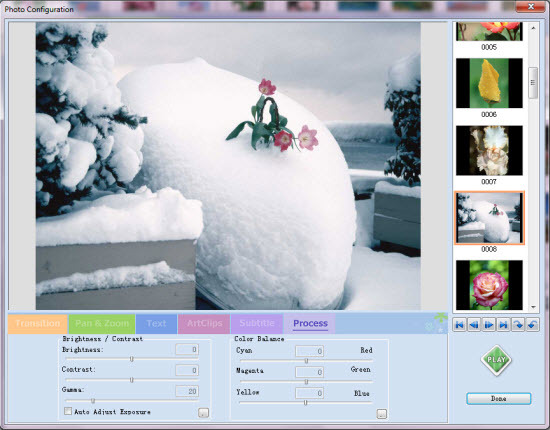 After the whole conversion process, you can get the output .mov slideshow video file in the default output directory or the one you specified.